For any fiber deployment — whether an upgrade, a new deployment or an expansion of services — there are three general phases: planning and network design, construction and operations. The circumstances facing each fiber provider will be as distinct as the community they serve. The resources in this section should give providers an idea of what is out there — and an introduction to the expertise and resources available to members of the Fiber Broadband Association. Our greatest strength is our members and the insight they provide to each other to move the industry forward. But the resources that follow are by no means exhaustive.  For more and to continue to find support for every phase of your network, join the Fiber Broadband Association today. For a comprehensive look at fiber-to-the home, including drivers of internet traffic, comparisons of fiber to other broadband technologies, the benefits to providers from deploying fiber, different ways to deploy fiber in different types of networks and how fiber networks actually work take a look at this presentation, FTTH Basics. Network upgrade and build-out costs include physical assets and construction costs as well as transaction costs such as the time and effort put into gathering information and working through local regulatory processes. The Atlantic Telephone Membership Corporation (ATMC) is the largest telecom cooperative in North Carolina and one of the largest in the country. ATMC has long felt that fiber to the home is a vital part of its future as a broadband provider. Download their case study. For an overview of creating the business case for a fiber network in your community, download our presentation. In today’s market, the total costs to the network provider for an upgrade or new deployment often outweigh the benefits. This reality reflects the network providers’ investment equation, in which incremental capital expenditures and operating expenses outweigh the incremental risk adjusted benefits. Communities face the challenge of reversing that equation. To change the math, communities can revise existing policy and regulatory procedures to use their assets to lower costs and increase potential revenues. A critical step to “changing the math” is to determine which assets exist in your community and how they can be used to alter the equation. Gig.U has designed an assessment worksheet to help your community identify assets, to explain those assets’ relationship to the investment equation and how each asset or opportunity can be managed to create a favorable environment for investment in a next generation network project. Download the assessment. The consulting group CSMG has prepared a study on the costs of deploying all-fiber networks, and how the per household costs have declined over the years. Download the study. The Blandin Foundation has created an initial financial spreadsheet for communities or new providers. Download the financial spreadsheet. This recorded webinar showcases some of the latest advancements in FTTH technology and shows how service providers can make this a cost-effective solution to expand their reach and service area. The webinar page also includes a cost and ROI worksheet for download. This presentation from 2016 Fiber Connect addresses strategies and techniques for building more efficient fiber networks in the last mile including common challenges in last mile construction and key technologies that enable faster fiber construction and scalability. Thirty percent of people in the US live in buildings with multiple units, or multiple dwelling unit (MDU) buildings. Bringing fiber to these buildings comes with certain technical challenges, but it's worth it--our research shows that ultra-high speed internet access is one of the most valued amenities by people living in these buildings. Check out this presentation from Google, Hotwire Communications, OFS and RVA, LLC on how to effectively market, sell and deploy fiber to MDUs. The increase in demand for data and the resulting IP explosion is driving change throughout the access network as we know it. Within the central office space, the shift to IP traffic is driving change that offers tremendous opportunity, while also presenting some significant challenges. The resulting change is a transforming Central Office that is beginning to look and operate like a data center and thus, forcing change not only on the equipment within the CO, but the cabling infrastructure that connects it all together. This presentation on Central Office transformation addresses those challenges.